The leisure centre, which also houses the popular Hulme High Street Library, has benefited from major work to improve its swimming pools, sports halls and squash courts, plus an extension to the existing gym, which has doubled in size. The programme of work also included the refurbishment of the centre's sauna and steam rooms and changing rooms. It will be the first leisure centre in Manchester to provide a "Pool Pod", allowing independent wheelchair access into the pool, while its new “Changing Places” changing facility will improve accessibility for all users. The building's electrical and mechanical infrastructure, heating and energy systems and swimming pool circulation and filtration systems have all been replaced - significantly reducing the building’s carbon emissions and improving its energy efficiency. The building is also home to Hulme High Street Library, which offers a wide range of books for readers of all ages, computers with internet access and free WiFi for public use. 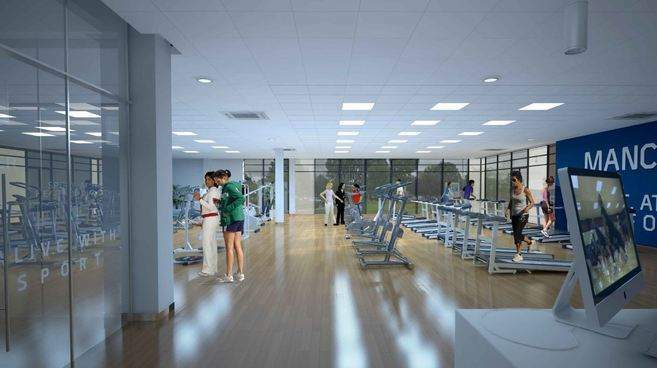 Executive Member for Schools, Culture and Leisure, Councillor Luthfur Rahman, said: “We’ve made this major investment in Moss Side Leisure Centre to ensure that the building is both significantly enhanced for today’s residents and future-proofed for the next generation. Joseph Rham, Regional Director for GLL, said: “We're extremely proud to be reopening the fantastic Moss Side Leisure Centre, in partnership with Manchester City Council, following the investment.